Hi, guys! Do you plan to change your old vape devices? 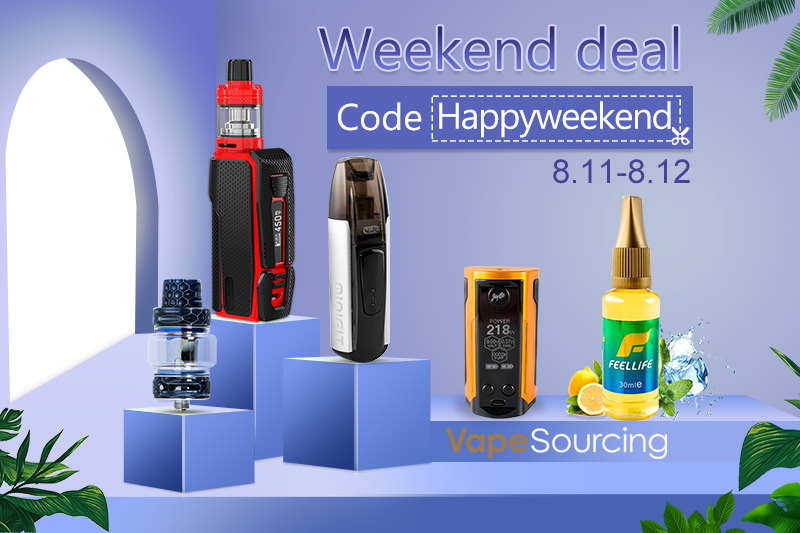 This weekend, it’s the best time to choose your newest vape device because Vapesourcing provides five kinds of newest products at the lowest price for saving your money. Vapesourcing online vape store will still offers you the big discount for 10% off. Coupon Code: happyweekend. Valid time: 8/11 - 8/12.